American physicist at Harvard who shared with Felix Bloch (at Stanford) the 1952 Nobel Prize in Physics for his independent work on the nuclear magnetic moment, discovering nuclear magnetic resonance (NMR) in solids. Purcell was also the codiscoverer, with Harold I. Ewen, in 1951, of the 21- centimeter line of hydrogen. In a lecture delivered at Brookhaven National Laboratory, in 1960, Purcell attacked the notion that intersteller travel would ever be possible, arguing that radio signals were probably the best way of establishing contact with other intelligent races. A similar discouraging outlook for flight between the stars was expressed by Pierce and Von Hoerner. One of the greatest observational astronomers of his time, and discoverer of Jupiter's moon Amalthea and the nearby star that now bears his name - Barnard's star -. Born into poverty in Nashville, Tennessee, Barnard began work in a photographic studio when he was only nine. He became a brilliant amateur astronomer, discovering 10 comets before the age of 30. 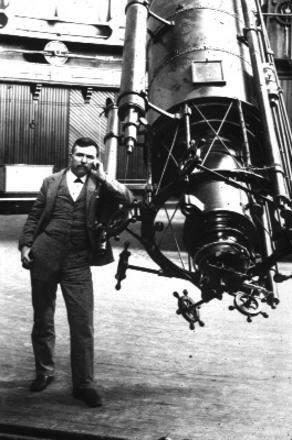 Barnard spent 28 years as an astronomer at Yerkes using the giant refractor as well as the 10-inch Bruce wide-field telescope, built specially for him, to measure star positions and to pioneer wide-field photography for studying the structure of the Milky Way. He discovered the star, subsequently named after him, with the largest known proper motion, and numerous dark clouds and globules. 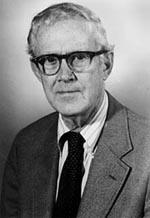 American astronomer who, with Philip Keenan (1908–2000) and Edith Kellman (1911–2007), introduced stellar luminosity classes and developed the Morgan-Keenan classification of stellar spectra. With Donald Osterbrock and Stewart Sharpless he demonstrated the existence of spiral arms in the Galaxy using precise distances of O and B stars obtained from spectral classifications. Morgan helped originate the UBV system of magnitudes and colors, and, with Nicholas Mayall, developed a spectral classification system for giant galaxies. After three years of undergraduate study at Washington and Lee University, Morgan joined the staff of the Yerkes Observatory, where he spent his entire career, including three years as director. While at Yerkes he earned bachelor's and doctoral degrees at the University of Chicago. Eschewing theory, his research focused on morphology – the classification of objects by their form and structure. John Flamsteed, (born Aug. 19, 1646, Denby, near Derby, Derbyshire, Eng.—died Dec. 31, 1719, Greenwich, London), founder of the Greenwich Observatory, and the first astronomer royal of England. Poor health forced Flamsteed to leave school in 1662. He studied astronomy on his own and later (1670–74) continued his education at the University of Cambridge. In 1677 he became a member of the Royal Society. Ordained a clergyman in 1675, Flamsteed in 1684 received the income of the living of Burstow, Surrey. His report to the Royal Society on the need for a new observatory resulted in the founding (1675) of the Royal Greenwich Observatory, of which he was the first director (and hence astronomer royal). He found that he himself had to supply all the instruments at Greenwich, apart from a few gifts; he was forced to take private pupils to augment his income. A small inheritance from his father, who died in 1688, provided the means to construct a mural arc, a wall-mounted instrument for measuring the altitudes of stars as they passed the meridian. 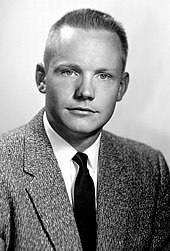 Neil Alden Armstrong (August 5, 1930 – August 25, 2012) was an American astronaut, test pilot, aerospace engineer, university professor and United States Naval Aviator. He was the first person to walk on the Moon. Before becoming an astronaut, Armstrong was a United States Navy officer and had served in the Korean War. After the war, he served as a test pilot at the National Advisory Committee for Aeronautics High-Speed Flight Station, now known as the Dryden Flight Research Center, where he logged over 900 flights. He graduated from Purdue University and completed graduate studies at the University of Southern California. A participant in the U.S. Air Force's Man In Space Soonest and X-20 Dyna-Soar human spaceflight programs, Armstrong joined the NASA Astronaut Corps in 1962. His first spaceflight was the NASA Gemini 8 mission in 1966, for which he was the command pilot, becoming one of the first U.S. civilians in space. [not in citation given] On this mission, he performed the first manned docking of two spacecraft with pilot David Scott. 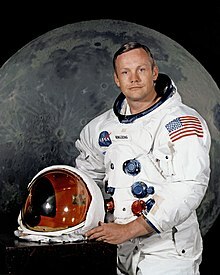 Armstrong's second and last spaceflight was as mission commander of the Apollo 11 moon landing in July 1969. On this mission, Armstrong and Buzz Aldrin descended to the lunar surface and spent 2½ hours exploring, while Michael Collins remained in orbit in the Command Module. Armstrong was awarded the Presidential Medal of Freedom by President Richard Nixon along with Collins and Aldrin, the Congressional Space Medal of Honor by President Jimmy Carter in 1978, and the Congressional Gold Medal in 2009. On August 25, 2012, Armstrong died in Cincinnati, Ohio. at the age of 82 due to complications from blocked coronary arteries. The Apollo 11 crew portrait. Left to right are Armstrong, Michael Collins, and Buzz Aldrin. 6 کاربر مقابل از Mojtaba.M عزیز به خاطر این پست مفید تشکر کرده اند. activity until he was obliged to retire in 1861, owing to failing health. 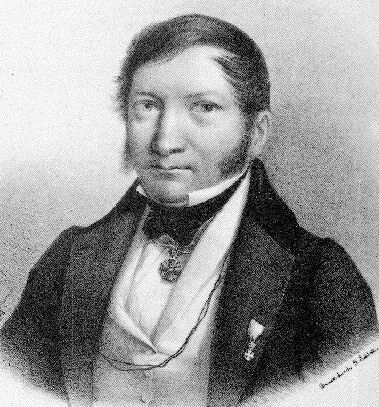 He died at St.
Petersburg on the 23rd of November 1864.
in his principal work, Stellarum duplicium et multiplicium mensurae micrometricae (St.
Danube et la Mer Glaciale, 2 vols. and 1 vol. plates, 4to, St. Petersburg, 1857-60). 8 کاربر مقابل از Amin-Mehraji عزیز به خاطر این پست مفید تشکر کرده اند.